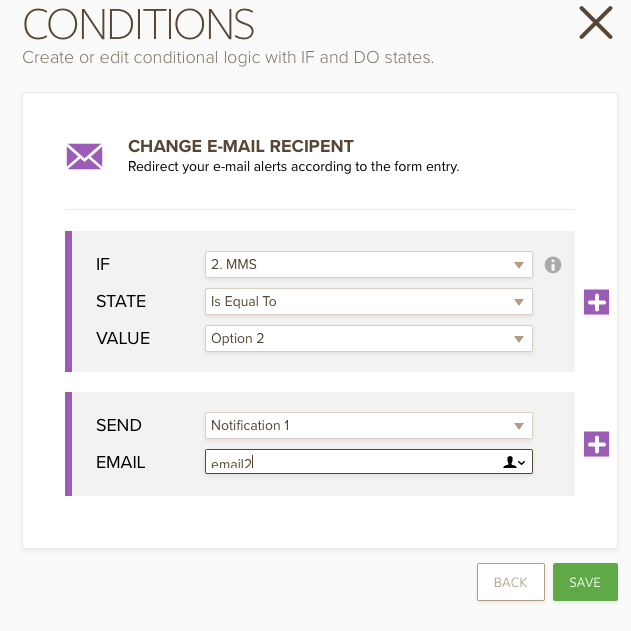 How to Send Email Based on User's Answer? 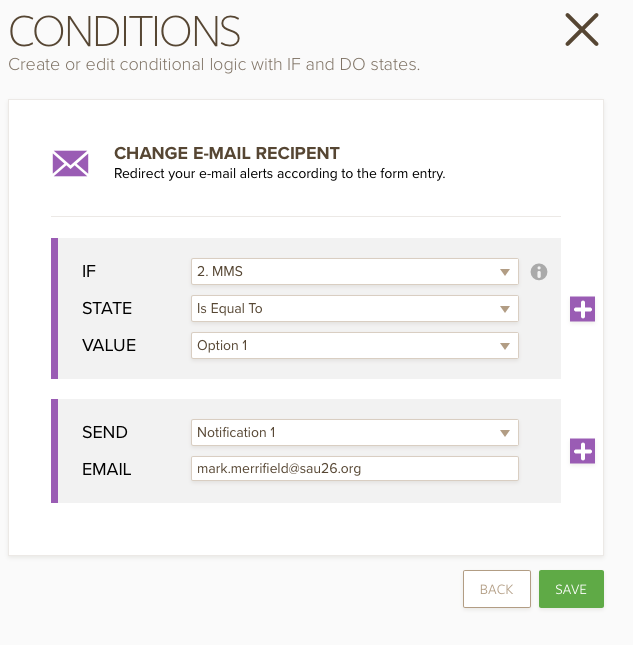 I would like to set up a form that sends form data to a different email address depending on a particular option chosen. If I set up a question with several checkboxes, it looks like I can't set up conditional logic for each option within the one question. If I make each option a single question, I can't hide the built-in "option 1, option 2, option 3" no matter what I do. Is there any way to accomplish something like the following with your product? 1. 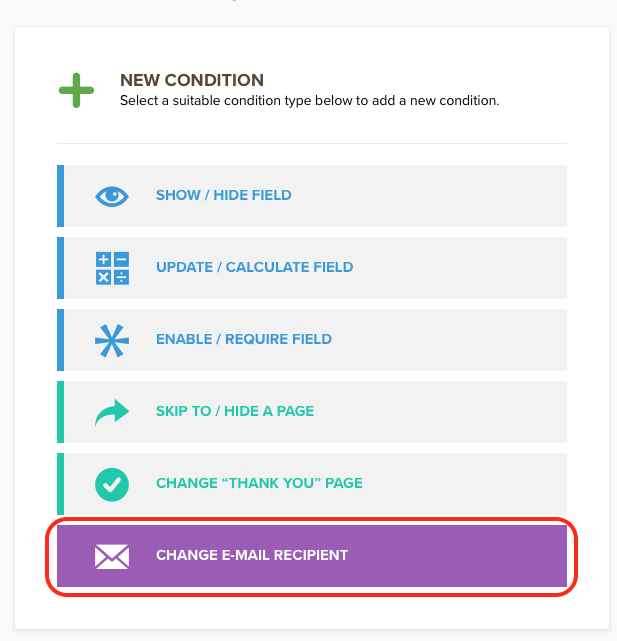 Click "Conditions" at the top of the page.Then click "New Condition". 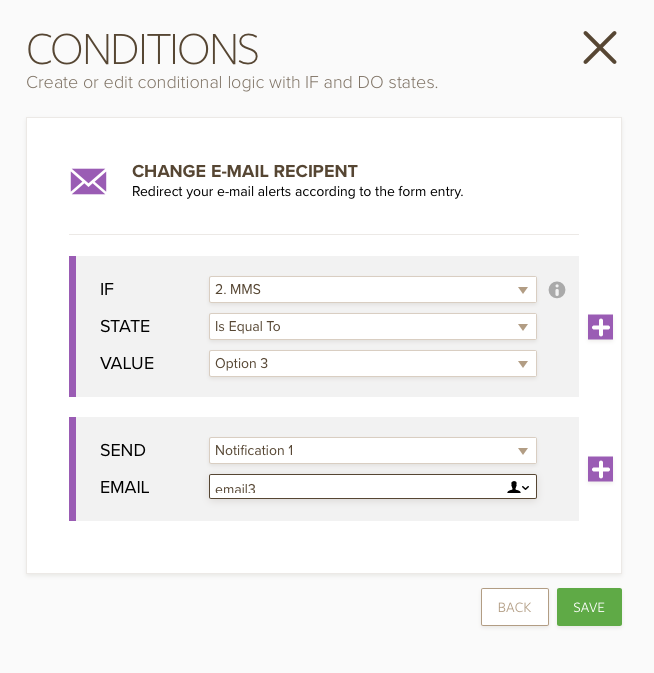 Select "Change Email Recipient". Option1 can be High School option and you can change the e-mail field. If you have any questions or issue, feel free contact us.